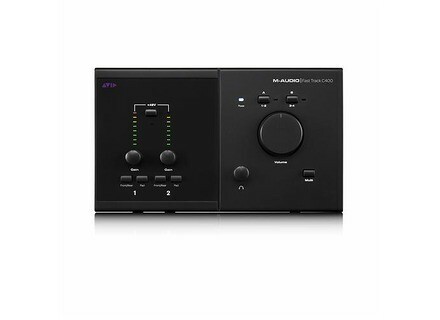 Fast Track C400, USB audio interface from M-Audio in the Fast Track series. 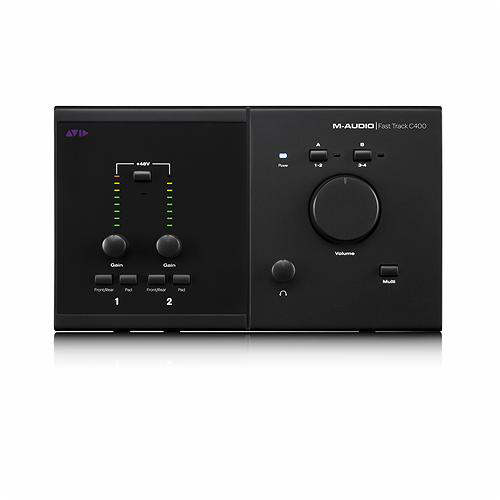 Avid (MA-Audio) introduces its new Fast Track C600 & C400 audio interfaces. The Fast Track C400 and C600 are available now for €229 (inc. taxes) and €369 (incl. taxes) respectively and come bundled with Pro Tools SE software. The Pro Tools MP + Fast Track C400 bundle is priced at €369 (incl. taxes), the Pro Tools MP + Fast Track C600 at €499 (incl. taxes). For more details, visit www.m-audio.com. Steinberg HALion 4 Trial Version Available Steinberg today released the trial version of HALion 4. G-Sonique Transient Shaping System+ G-Sonique has released Transient shaping system+ as part of their new G-Mix series+. Cakewalk Z3TA+ 2.1 Update Cakewalk announces availability of a free update for Z3TA+ 2.